Solar Water Heating for Swimming Pool - Sinoyin Solars Co.,Ltd. 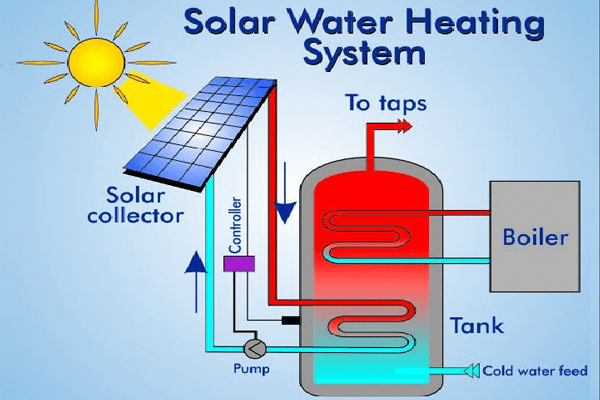 Solar water heating is one of the most effective and cost-efficient use of solar energy. Most of the swimming pool require some form of pool heating which can either be for increasing the temperature of the pool during spring and autumn seasons or to maintain a constant temperature throughout the summer period when the pool is frequently used. Generally, recreational as well as garden swimming pools require minimal heat and this is why it is crucial to have solar water heating for swimming pools. The solar flat plate collector would capture the free solar energy from the sun and use it to heat your swimming pool thereby providing an economical alternative to expensive conventional gas or the use of electric pool heaters. By installing a solar pool heating system, the normal swimming pool can be used for a long period of time such as four months by using the heat energy from the sun. The kind of solar heating system however vary depending on the design of the pool, location as well as availability of sunlight but all solar water heating follows the same principle. The swimming pool water is circulated via a flat panel solar collector which are usually mounted on a roof or next to the pool, the flat panel is heated by the sun’s solar energy and absorbed by the water which is flowing over of via it before the heated water is returned back to the pool. The heating of swimming pool does not require a separate water storage tank because the pool itself serve as water storage and in most scenario the pools filtration pump can be used for circulating the swimming pool water via the solar panels thereby making it an active system with force circulation. The temperature of comfortable swimming water is relatively low when compared to other uses of hot water such as showers and bath. Flat panel solar collectors are most efficient at low temperatures and are suitable for pool heating where a large volume of water can be heated slightly above the ambient temperature rather than heating small quantity of water to high temperature. A good solar heating system can be used for raising the temperature of the pool by at least 5 to 10oC above the normal water temperature thereby maintaining a comfortable swimming temperature each time the water pass through the solar collector. Usually during the summer months when the solar radiation is at peak, no pool will require heating and swimming in the pool should therefore be refreshing and comfortable when the ambient temperature as well as the solar strength are at their highest point, so it may not be possible to heat the pool water to a high temperature. A pool water of about 24 to 28oC would be sufficient because the objective of the solar pool heating system is to heat large quantity of water by a few degrees. Additionally, a solar pool heating system can be used to cool a swimming and also heat it accordingly. During the hottest part of the summer months, the swimming pool water can be pumped through the solar system at night so as to reduce the temperature and make it comfortable for the users, thus the flat panel collector would serve a dual purpose in this scenario.